Useable Innovation Insights captures powerful lessons from innovators to help entrepreneurs and innovation practitioners identify and apply practical lessons from real-world experiences. This minor initiative is based on utilising the power of storytelling, and Victor Newman’s experiences as an interviewee and later content designer in the 50 Lessons leadership interview exercise conducted in 2005-6, and featured in the Harvard Business Review. Subjects interviewed are individuals who have actual, tactical experience of innovating either within organisations or as individual entrepreneurs, and not C-level managers or functional heads of department. Subjects are chosen from a wide innovation spectrum ranging from social enterprise, small to micro-business and multinational corporates. Interviews are highly-structured to identify key points, with a clear focus on and what the audience needs to pay attention to in order to apply a similar approach. Lessons are personal, have some transferability to different contexts and try not to be too simplistic. The existing collection of Useable Innovation Insights will be developed through the Centre for Enterprise & Innovation, capturing new lessons and experiences from associates and clients, and utilised in customised entrepreneurism, innovation, and leadership programmes. 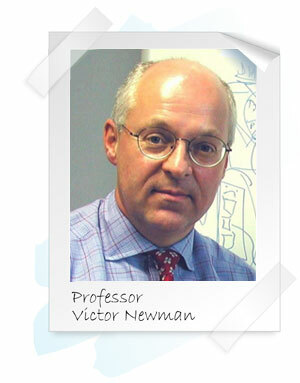 If you have identified an innovator who has made a difference, or is in the process of doing so, contact: Professor Victor Newman at the Business School (v.r.newman@gre.ac.uk or knowledgeworks@aol.com).